This article goes through some of the basics of setting up Sitecore on Azure Platform-as-a-service and using CRM Dynamics integration, Email Campaign Manager (ECM) and Sitecore Web Forms for Marketers. 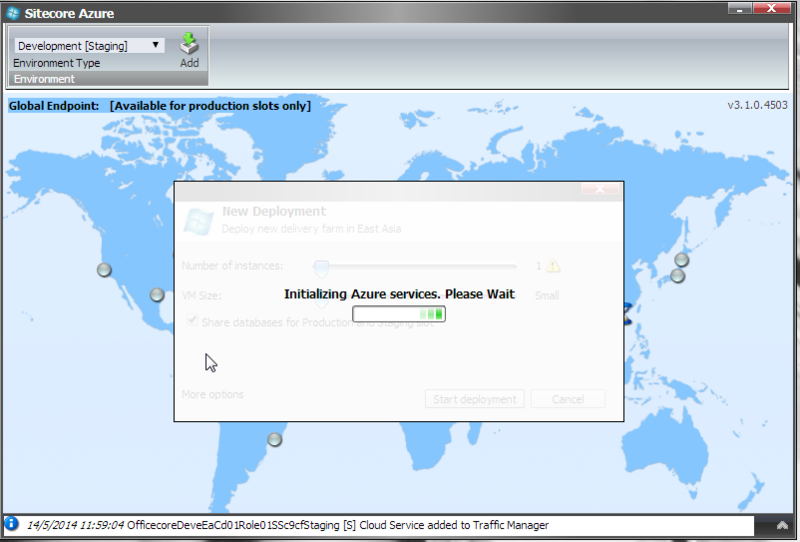 Azure 3.1 rev 130731 or 7.2 The development instance shall have this installed and be used to create & manage the Authoring and Delivery instances on Azure. Unzip the Sitecore installer zip onto the dev web server and database server. Check that all the modules work locally from the development site – ie the CRM users are populated, ECM sends mail correctly and a simple web form can be created and used. Done! Make the changes for the Sitecore Email Campaign Manager (ECM) on Sitecore Azure PaaS, detailed here. Make any other changes to modules that use Session state and make sure all Session objects can be serialized, as this is required on Sitecore Azure. Open an Azure account. We have MSDN membership and this has Azure credits that come in handy for development and proof-of-concepts using Sitecore Azure. Open all firewalls to the azure database servers for ports: 1443 (not documented in SDN), 443 and 8443. This is a real gotcha and in my case caused a bit of confusion! Confirm that the development environment still work! The following table shows the desired communication between the instances and the databases. Navigate to the Sitecore module. 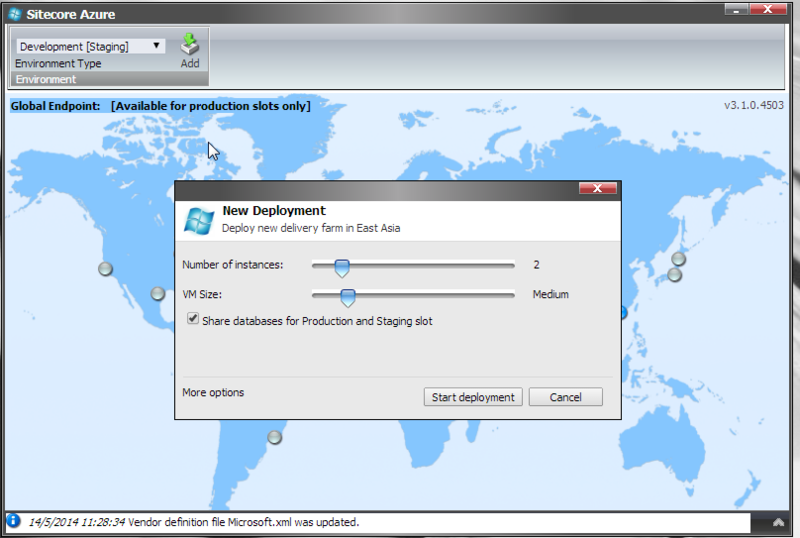 Swap – Lets you swap the Staging with the Production instances. This is useful if they are sharing the same databases, and can be a deployment strategy. Scale – Lets you scale up/down number of instances on the cloud. However you cannot increase the size of exsistingly provisioned Cloud Services (from say Medium to Large), this can only be achieved by Deleting and then recreating the environment! Delete – Delete the Cloud service in Azure, but not the configs to recreate them that reside in Sitecore. Now select the Properties for the Editing instance, and in the Sitecore Content Editor you need to configure the databases to be correct – as in the target table above. The settings are stored at: Sitecore -> System -> Modules -> Azure -> [Deployment Name] -> ..
From here you can see that there are “Database References” and “SQL Sets”. First of all check the SQL Sets to have the correct source (development machine SQL databases) and the correct Azure Targets. Next make sure the “Database References” for the Delivery and Editing instances are correct. ie the Core Database is shared – so that the Editing “Database References” for “core” points to the Delivery core database. 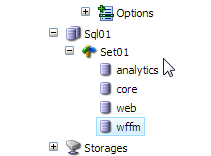 And similarly for all the shared database (Web forms and Analytics). This can take a bit of trial (leap of faith) and error. But deleting, reconfiguring and re-creating is usually an hour cycle, so not too bad. And once setup its done for ever… or until the next project! Additionally here if you are installing Web Forms For Marketers – it is here that you should add the reference to the additional website as a additional SQL set on Delivery. Use SQL Management to create a SQL script with “Convert UDDTs to Base Types” option set to “TRUE” and “Types of data to script” set to “TRUE”. This created the SQL statements needed. 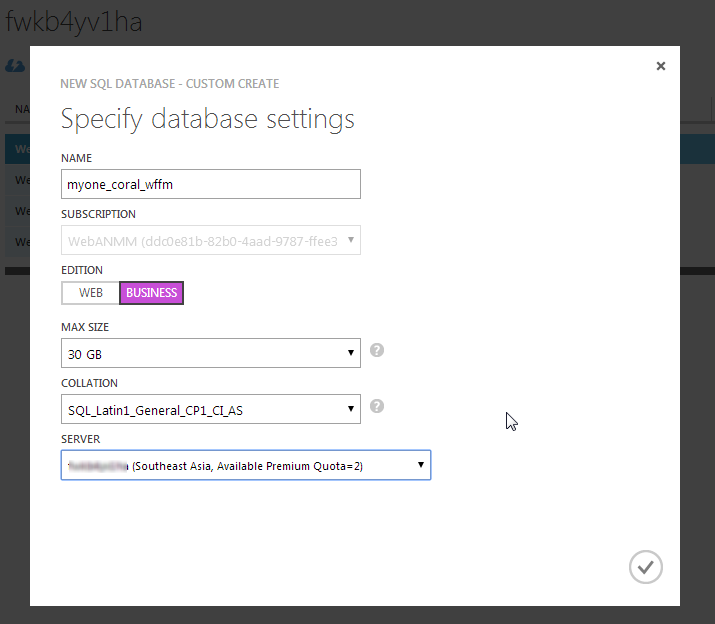 Open the Azure DB in SQL Management Studio and run the script created in step 1. Web forms for marketers save actions (for Dynmics CRM) are not supported and I’ve found noway of making them work on Azure (PaaS) – other than creating them as Custom Save Actions. That the session state is in-proc (ie in memory not serialized to disk or using the Azure session state management). This actually only affects the editing dialogues for the Dynamics Save actions, and does not affect their actual functionality. For this reason the CRM save actions can be seen to work on development, where session is set to Inproc; but the editing interfaces do not work on the Azure deployments. In our scenarios this is ok, as the CRM save actions are setup, configured and tested on the development instances, and deployed to the Authoring / Delivery instances on Azure – where they work fine. It’s just they cannot be managed (as they should be) on the Authoring server. I have found it imperative to access the actual Virtual Machines (VMs) that make up the Azure PaaS Cloud service instances, see here. 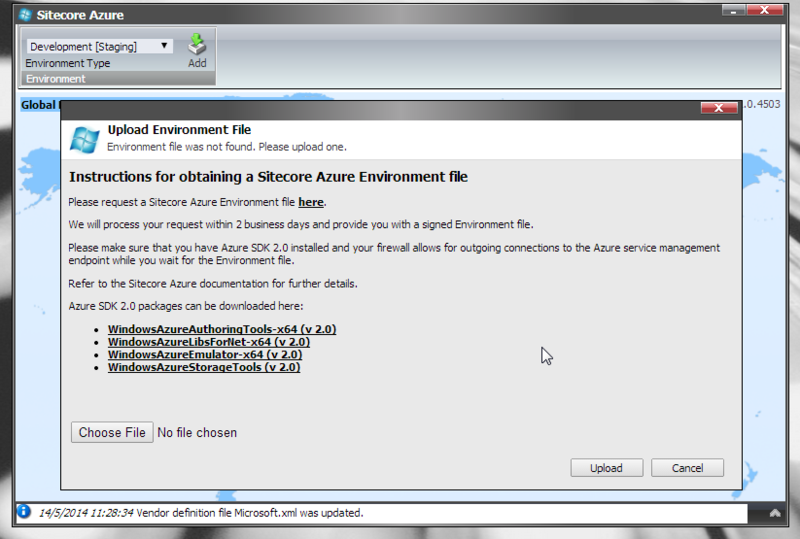 Sitecore Azure PaaS offering is really a great option and once explored for a couple of hours makes a lot of sense. I’d recommend it as a time, cost and maintenance reducing option. Great work Sitecore and Microsoft.